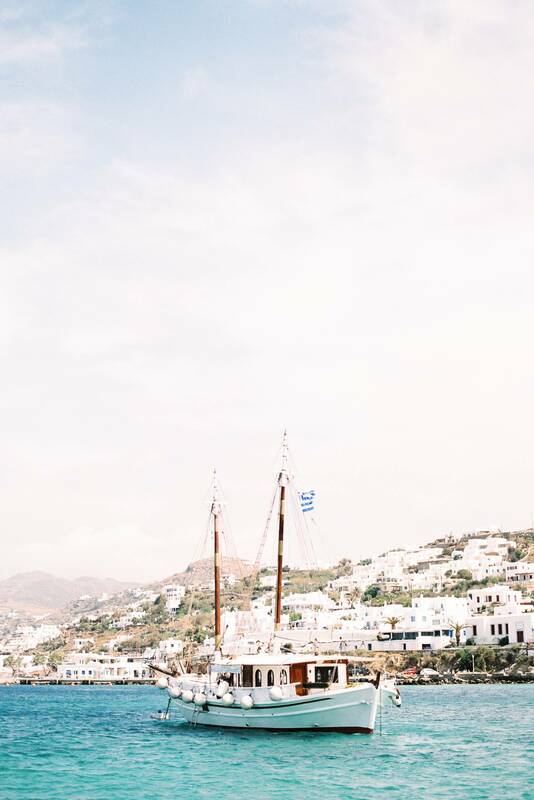 Mykonos was the first island we visited in Greece and I fell in love with it immediately. According to mythology, Mykonos was formed from the petrified bodies of giants killed by Hercules. Also known as the island of cats, there are stray cats everywhere you turn in Mykonos which are fed and cared for by the island's residents and celebrated by visitors. I am a huge cat lover and this was part of the reason I loved Mykonos so much. While most tourists were on the cliff side admiring the windmills, I was usually in the streets petting and feeding as many cats as I could find. This is Alefkántra or "Little Venice", an 18th century district, dominated by grand captains' mansions with colorful balconies and stylish windows. Jeff and I loved to sit at the restaurants here and admire the gorgeous views! 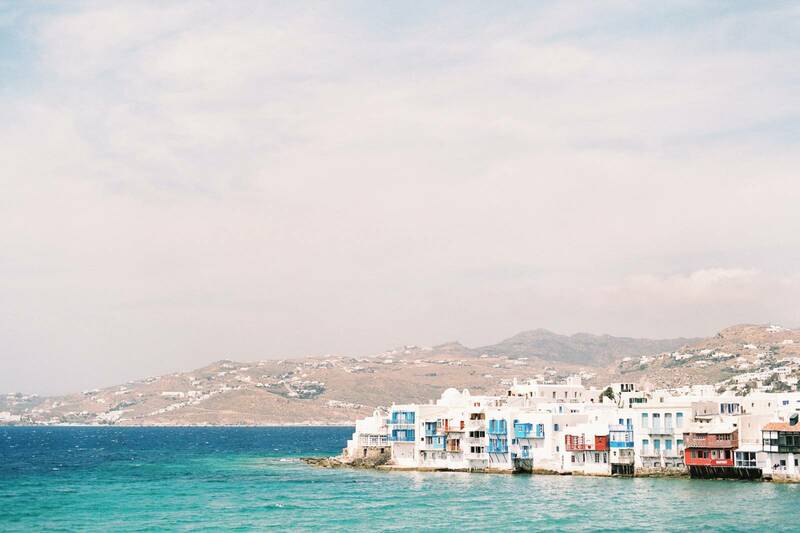 Part of the charm of Mykonos is their winding narrow marble streets and whitewashed houses with colorful doors and window frames which are lined with stores, charming cafés and stylish restaurants. It is very easy to get lost, and we did more then once! The day before we were supposed to leave for Santorini we found out that the Ferries went on strike and we were going to be stuck on the Island for an extra day, so we decided to rent a quad and explore the country side. We underestimated how steep the hills were and one of us had to hop off the quad and climb the steep incline every time we approached one because the quad couldn't make it up with both of us on it. I still think it was because we were eating too much Feta!